The Golden Masked Owl is a relatively small barn owl with no ear-tufts. 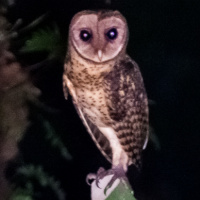 It is also known as the New Britain Masked Owl or New Britain Barn Owl. 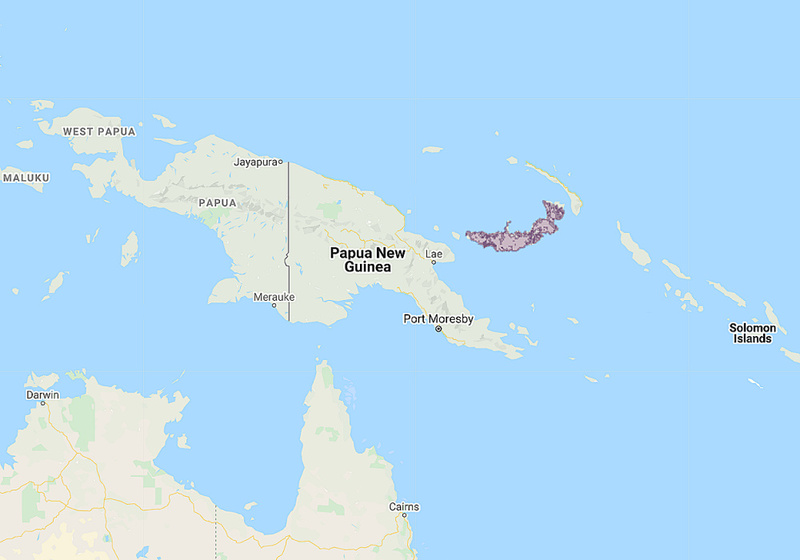 Distribution: Endemic to the island of New Britain in Papua New Guinea. Status: Uncommon to rare, vunerable. Original Description: Salvadori, Tomaso. 1881. Atti Reale Accademia della Scienze di Torino, 16, p. 94-95. See also: Other owls from Oceania, Genus: Tyto.